Non-toxic and ink free, allowing kids to play in a safe and clean environment. It is easy for convenient storage, at home or on the go. 2.Q:Can I get some samples9 A: We are honored to offer you samples. 3.If there are bad products, we will promptly pay compensation to customers without any charge. 3. Top quality: we have professional QC team to control the quality. 6. Excellent service: we treat clients as friends and 24 hours customer service. Baby Learning Toys Magic Water Drawing Book ,Water Writing Cloth,Aqua Doodle Mat Item NO. 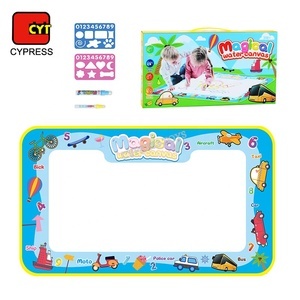 : MZH117135 Product Name: Baby Learning Toys Magic Water Drawing Book ,Water Writing Cloth,Aqua Doodle Mat PCS/CTN: 24 pcs/ctn Suitable Age: 3+ CTN Size: 71x39.5x80cm G.W./N.W. Packaging & Shipping Baby Learning Toys Magic Water Drawing Book ,Water Writing Cloth,Aqua Doodle Mat Packaging: 1 set /Color Box; 24 sets / cartons. If you want more items or change another shippingway,please contact us. If you want to receive it faster, please contact us to change shipping method. Q4: How can I know it is the best price9 A4: We will show you each cost for products in quotation. 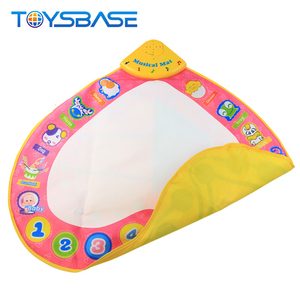 Alibaba.com offers 26 baby doodle learning mat products. About 61% of these are drawing toys, 19% are other toys & hobbies. A wide variety of baby doodle learning mat options are available to you, such as free samples. 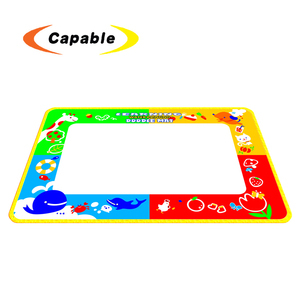 There are 26 baby doodle learning mat suppliers, mainly located in Asia. The top supplying country is China (Mainland), which supply 100% of baby doodle learning mat respectively. 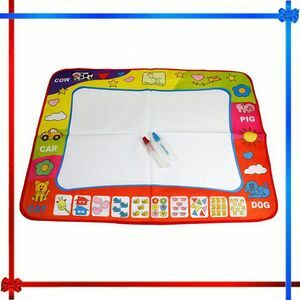 Baby doodle learning mat products are most popular in Western Europe, North America, and South America. You can ensure product safety by selecting from certified suppliers, including 3 with Other, 2 with FSC, and 2 with ISO9001 certification.